This lovely perennial is a Bay Area favorite and is happy with our warm summer days and cool evenings. 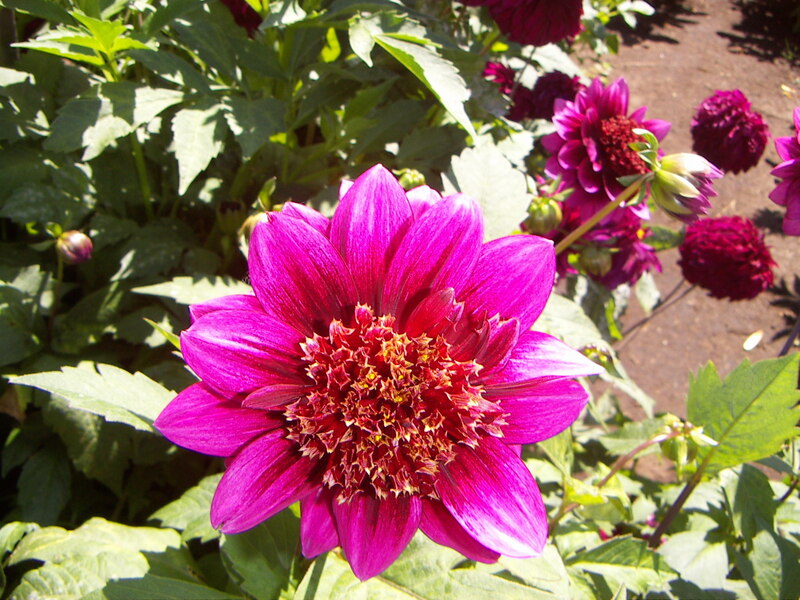 Grown from tubers, dahlias have been hybridized into a dazzling array of shapes, sizes and colors that grace local gardens. 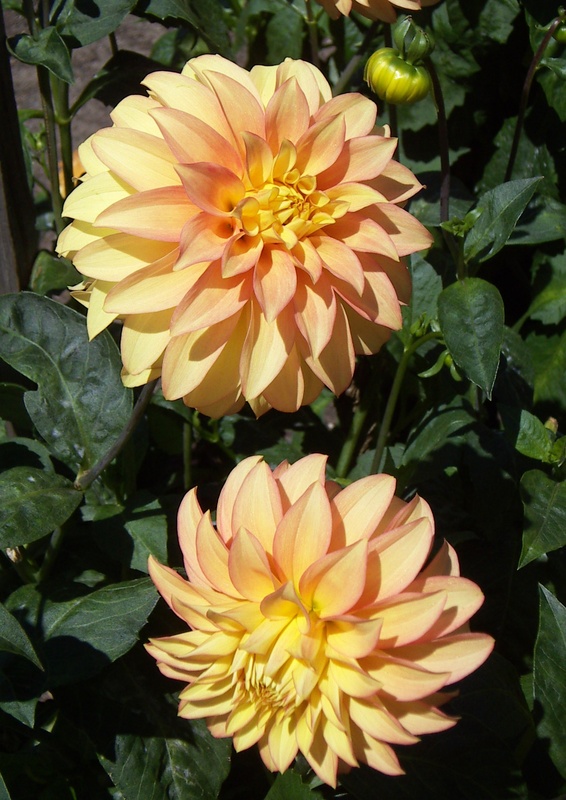 Despite its unsettling meaning in the Language of Flowers (“instability”), the dahlia is a huge favorite for weddings, providing seasonal color impact at a reasonable price. Because many of the farmers in Half Moon Bay produce a great local crop, they have the added benefit of being locally-sourced and more eco friendly than imported flowers. 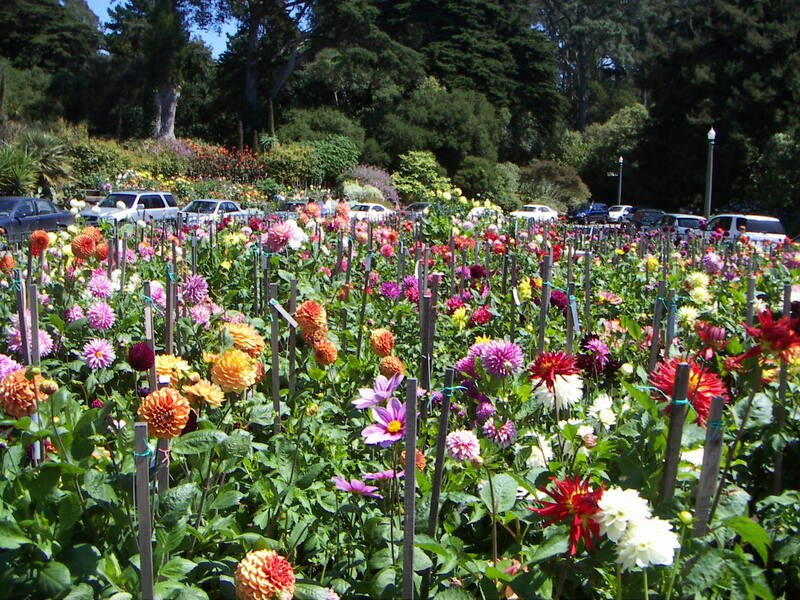 The Dahlia Society creates a garden every year in a planting area to the north of the Conservatory of Flowers in Golden Gate Park.There you can experience some of the many hundreds of varieties – with new ones being added each year. 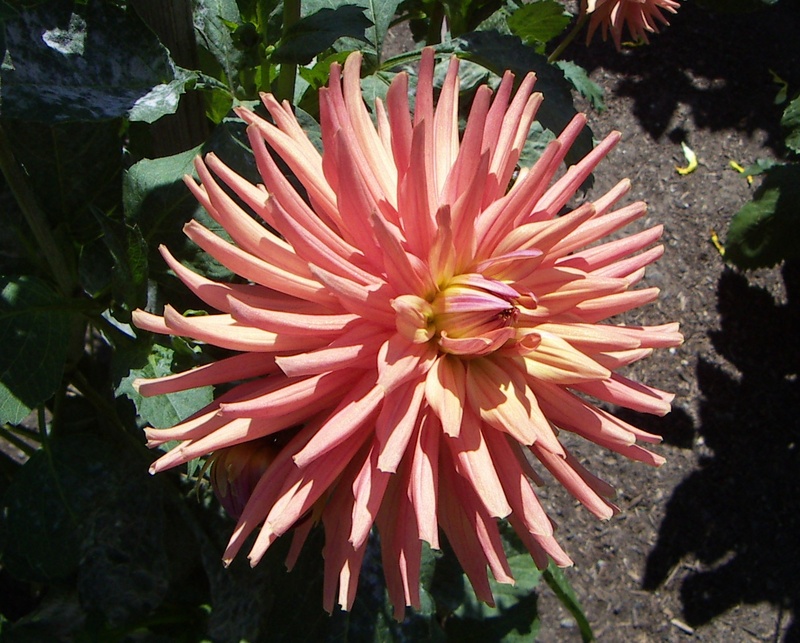 Dahlia growers are passionate about their favorites, and the competition to hybridize new and interesting varieties is fierce! The garden is at its peak in August and September, so now is a good time to experience the wonderful world of dahlias.